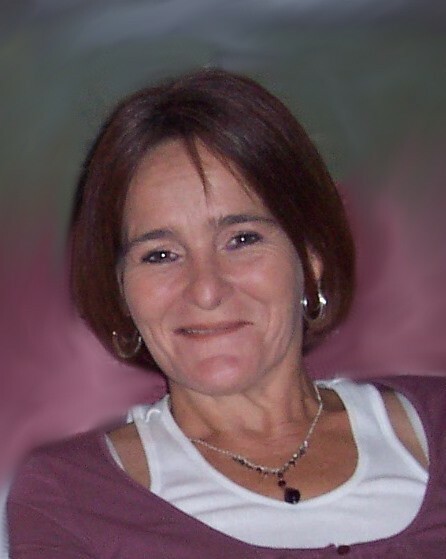 Vicki Ann Trosclair, age 52, long time resident of Gretna, entered into eternal rest on October 15, 2018. She was born in New Orleans, Louisiana. Preceded in death by her loving parents Betty C. Trosclair and Daniel J. Trosclair, Sr.; Nephew Marc Trosclair and her loving companion Johnny Richardson. She is survived by her devoted Daughter, Alexis M. Trosclair; Step-daughters Jody, Jessica, Ashley Richardson and Step-son Johnny (Bubba) Richardson, Jr.; Brothers Daniel J. Trosclair Jr (Robin)and David M. Trosclair; Sisters Elizabeth L. Trosclair and Jean M. Rivet (Edward ). Nieces Caryl Hebert (Joey), Deven Trosclair, Alyson Teachworth (Jordan) and Nephews Andrew Trosclair and Blake Evans; Great -Nephew, Christopher Hebert and Great-Niece Haley Hebert. She will lovingly be remembered by her numerous cousins and friends. Vicki was an avid stamp collector. She always enjoyed spending time with her daughter, Alexis and her very best friends Pamela Angelette and Trish VonAsper-Wyatt. She was a caring person and will be dearly missed by all who knew and loved her. The family would like to thank the caring staff and doctors at Sanctuary at Passages Hospice for their compassionate care. Relative and friends are invited to a Graveside Service at Westlawn Memorial Park, 1225 Whitney Blvd., Gretna, Louisiana on October 23rd , 2018 at 11:00 AM . In lieu of flowers please consider donations to the American Cancer Society (https://www.cancer.org/about-us/local/louisiana.html) in Vicki’s name. Funeral arrangements by Greenwood Funeral Home 5200 Canal Blvd., New Orleans, LA.